Across the globe one woman dies every 90 seconds due to complications from pregnancy and childbirth—that’s the equivalent of three full jumbo jets of women crashing to their deaths every day. For each of these deaths, another thirty women experience childbirth-related injury or infection. Women in developing countries do not have access to hospitals and must rely on an insufficient number of midwives and trained birth attendants to administer to them. 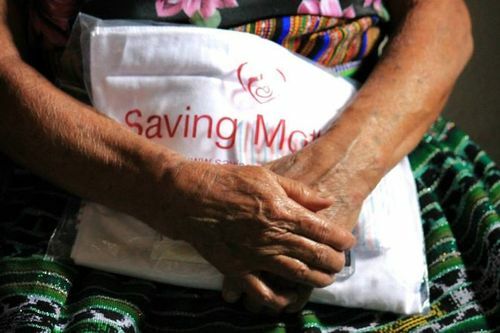 Saving Mothers is an organization founded to train birth attendants to use birth and hemorrhage kits at delivery in order to reduce the number of deaths during labor. While infection and hemorrhage are very rare occurrences in the US, they are a growing epidemic in the developing world. In 2012 MDM raised funds for their partner charity, Saving Mothers, which conducted 25 outreach trips to Guatemala, the Dominican Republic and Africa. With funds raised, Saving Mothers sent over 60 volunteers, physician’s assistants, nurses, medical students, resident physicians, fellows, and attending physicians to treat over 1,700 patients. Additionally, Saving Mothers trained over 200 local health care providers to serve their communities in the future. This campaign has been a prime example of mothers helping mothers.